Happy birthday to my sweetheart husband! 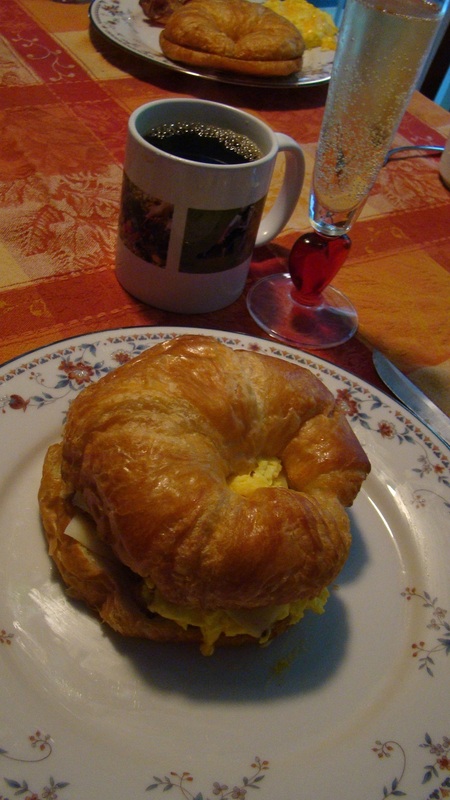 Breakfast request was egg and cheese croissant sandwich with Benton’s bacon. Dinner tonight will consist of lobster, crab cakes and caesar salad with a chocolate and caramel dipped apple for dessert. Birthdays are delicious.